Well made, heavy duty nylon bag that fits the petromax Ft1 Dutch compact Oven. Purchase through PayPal by using the "Add To Cart" button above or use the form below to order the Petromax Compact Dutch Oven Bag Ft1 . 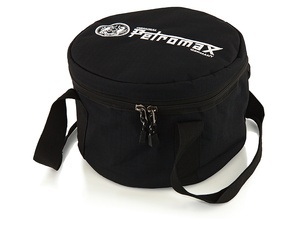 Feel free to contact us if you have any questions about the Petromax Compact Dutch Oven Bag Ft1 .